Steering precision and durability. New Reinforced Construction Technology delivers a stronger lightweight contruction improving handling, cornering performance, tread wear and fuel efficiency. Grip for braking and handling. The New Grip Booster compound used for the Eagle F1 Asymmetric 3, is made with adhesive resin to increase stickiness with the surface. 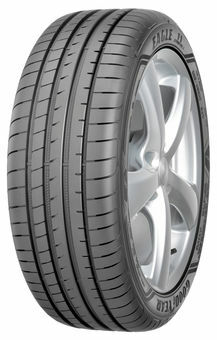 This delivers better grip for braking and handling on wet and dry roads.